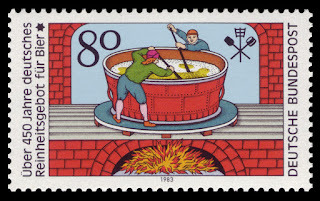 Stamp celebrating the history of the Reinheitsgebot. Why is Feedback only synonymous with Negative? Why do we give only Negative Feedback? It's very common to see people get very defensive when someone gives a feedback which is perceived as Negative. One tends to lockdown and get into a counter offensive mode whenever such feedback is given. This very often results in promoting a culture where people don't openly discuss issues. This author,Sonia Di Maulo proposes a 3+1 feedback model. For every One opportunity for improvement, 3 positives need to be highlighted first.